Huge changes come with divorce across all aspects of life. Your finances are certainly not immune and it’s important to understand and protect your pension rights. Couples already in or approaching retirement will find this to be even more important. Couples will typically have all sorts of assets but retirement plans and funds are often one of the largest. They must be divided fairly and in accordance with the law. It’s critical to understand your divorce pension rights when dividing these assets; otherwise it will be extremely difficult to ensure you get your fair share. Don’t let your divorce ruin all that you have worked for and saved toward retirement! When it comes to dividing assets in divorce it’s important to understand that there are basically two types of assets. The first is called individual property and includes everything that belongs solely to one individual. 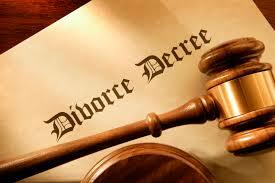 These properties are usually laid out in prenuptial agreements and are not part of the divorce settlement. The other type of property is the larger category. These properties are called marital or community properties and they include anything that the couple has gained during the marriage. In most cases these properties will be the bulk of the settlement. It’s important to know that retirement plans and pensions are considered marital properties and will be part of a divorce settlement. It’s important to understand a few things about pensions in divorce. The first thing to understand is that you will most likely be entitled to a portion of your spouse’s pension. 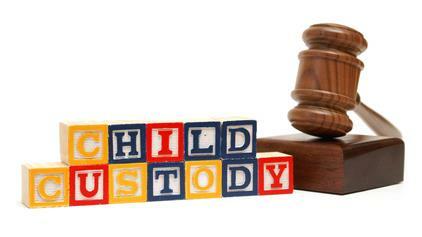 The amount that you are entitled to will be determined by a court. Also, remember that depending on what his or her work history contains, your spouse may have more than one pension. Depending on the situation a court may decide that you are entitled to a portion of each of these pensions. The second thing that is important to understand is that you need to get an accurate value of your spouse’s pension. Without an accurate valuation, it will be very difficult to receive your fair share. A qualified accountant or actuary will be able to help you determine these values. It’s always a smart move to seek out qualified help in these situations. Now that you’ve determined how much is in the fund and how much you will be receiving it’s important to understand how you will actually be receiving the money. A Qualified Domestic Relations Order or QDRO may direct your spouse’s pension plan to pay you directly. You’ll want to make sure that your divorce settlement states explicitly how much you are to receive and when payments will start and stop. It would be a good idea to have your attorney help you with the legal language. These fundamental details are critical and must be written in the court order to make them legal binding. This will be a huge part of your financial future so don’t leave it up to chance! Timing is everything so make sure that you get an accurate assessment of your spouse’s pension at the time of the divorce. You won’t want to use an outdated statement that might short you some of what you are entitled. Pensions are extremely difficult to split up after divorce so make sure you do it as part of your settlement. This will also help you to get a clean break and help you relax afterward because you’ll know that you won’t have to worry about your retirement. You may decide not to take your share of your spouse’s retirement plan. Instead, you may want to use the retirement income as leverage for some other assets they you would rather have and you are perfectly within your rights to do so. A good example of this would be giving up your rights to part of the pension to try to get the house instead. You’ll want to make sure that the amount you will be paid as part of the settlement is determined at the time of the settlement as your spouse’s employment situation may change in the future. He or she may lose all of his or her money or remarry or even die. All of these possibilities might affect your ability to claim what is rightfully yours.